“Caught Napping,” engraving of a now-lost painting by British artist Alexander Hohenlohe Burr (1835–1899). Originally published in The Illustrated London News (Feb. 14, 1866) and reprinted in Harper’s Weekly (March 10, 1866). It may have even been news to many readers that this lost work was hardly Whitman’s only piece of fiction. In fact, his novel Franklin Evans sold over 20,000 copies and was the best-selling work by Whitman during his lifetime. Before devoting himself to poetry, he wrote at least two dozen short stories and three novels—one of which has yet to be unearthed, assuming it survived at all. Serialized in 1853 in a relatively obscure weekly paper, Jack Engle appears to have been Whitman’s last work of fiction. 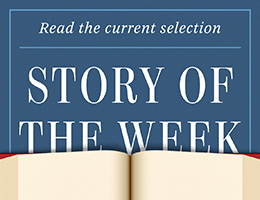 His first, “Death in the School-Room,” which was published in 1842 and reprinted nearly 150 times before his death, is presented as our Story of the Week.